The Alberta government has once again intervened in the energy sector, signing contracts to spend $3.7 billion to ship more oil out of the province by rail, but industry experts say the plan is risky. The province announced Tuesday it has signed contracts with CN Rail and CP Rail to lease 4,400 rail cars to move oil across North America and to international markets. Consider it an expensive insurance policy against a repeat of last year's oil price woes. In 2018, demand for crude-by-rail surged and the private sector didn't have the capacity to boost shipments fast enough. As a result, there was a backlog of oil in the province and prices plunged, costing the industry and the government a hefty amount of potential revenue. Premier Rachel Notley wants to prevent that from happening again. What's different now is that by the time the majority of the government's rail cars arrive in 2020, Alberta should have more pipeline capacity to export oil, and the private sector will likely also continue to ramp up its ability to move oil by rail. That's why industry experts say the government's commitment to spend billions of dollars on crude by rail is a gamble. In fact, it may prove to be an unnecessary investment and put a significant amount of taxpayer money at risk. "There's no reason why private sector companies couldn't have done this on their own — and, in fact, they have been doing it on their own," said Robert Cooper, with the institutional sales and trading team at Calgary-based investment firm Acumen Capital Partners. Publicly traded Cenovus and Imperial Oil have also invested heavily in expanding crude-by-rail export capacity out of Alberta. So it's the rail companies that stand to benefit most, Cooper says. "What the government has basically done is bolster CN and CP's oil-by-rail profits for the next three years." Under the government's plan, the first shipments are expected to start in July and get up to full capacity by mid-2020. Provincial officials say the program will cost an estimated $3.7 billion over three years and generate a profit of $2.2 billion in increased royalties and tax revenue. But if the industry's current investments pan out, there will be no need for the province's plan, and it could fall short of the expected profit. Building new export pipelines has proven to be difficult for industry. However, the oilpatch has reason to believe there will be more pipeline space soon. By the time the bulk of the rail cars arrive in Alberta, Enbridge's Line 3 pipeline replacement project is scheduled to begin operating and add 370,000 barrels of export capacity. Enbridge is also looking at several other ways of building more export pipeline space in the next few years. The company wants to create about 200,000 barrels per day by using drag-reducing agents in its pipeline. Upgrades to pumping stations could add another 125,000 barrels per day of capacity. Enbridge may also convert its Southern Lights pipeline, which currently imports diluent, to export oil. That would produce 150,000 barrels per day of pipeline space. Added together, Enbridge could increase pipeline export capacity in Western Canada by 845,000 barrels per day in the next few years. That amount dwarfs Alberta's rail strategy of adding up to 120,000 barrels per day of export space by train. "It looks a little bit like an act of desperation by a government trying to be seen to be doing something, and the timing is probably going to be off," said Cooper. 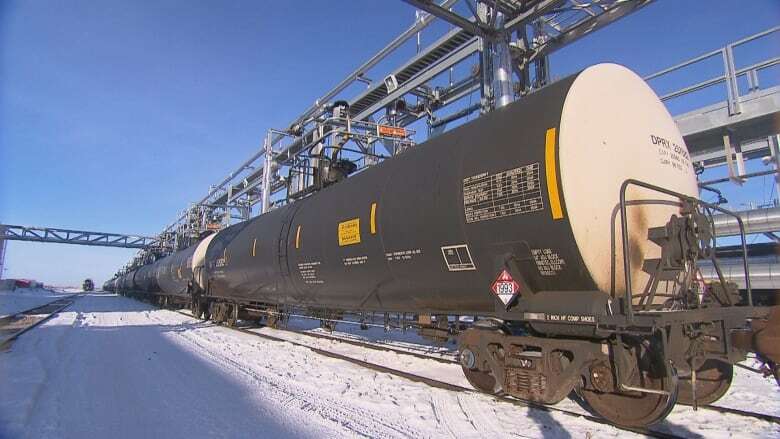 One benefit of the government's plan to lease rail cars is that it provides another option to oil producers in the province who can't afford to sign their own long-term contracts with railways to ship oil. "This is to help ensure smaller producers are not left out of the system over the next few years," said Kevin Birn, a Calgary-based analyst with energy research firm IHS Markit. 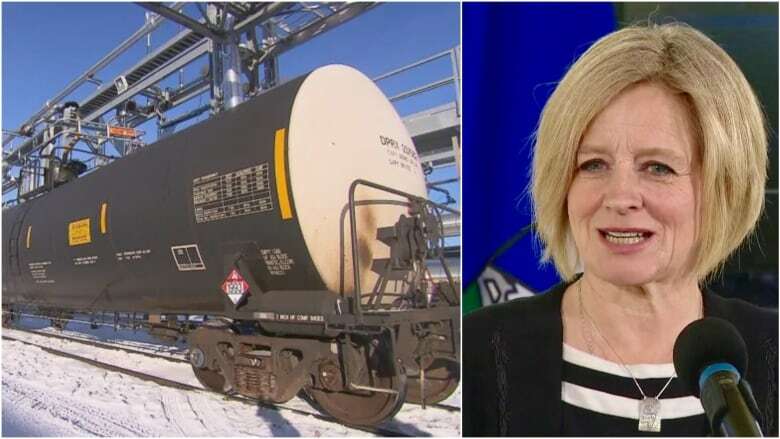 The crude-by-rail plan follows several other initiatives by Notley and her government to help the beleaguered oilpatch, such as subsidies for new petrochemical plants, partial upgrading facilities and new refineries, while also curtailing oil production, among other measures. 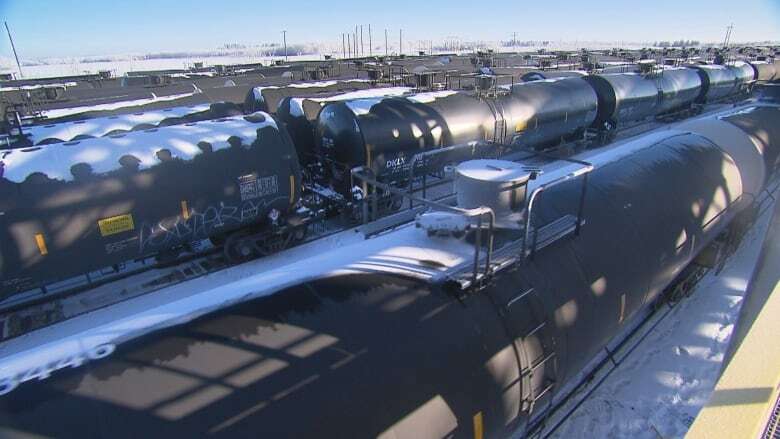 The government's rail car plan is clearly designed to make sure more of Alberta's oil gets to market, but the thousands of tankers may not be needed. "It's not without risk," said Birn. "We are putting taxpayer dollars on the line here."